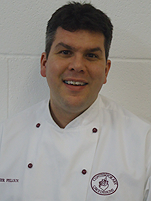 Xavier Pelloux- award winning Patissier, explains how to bake a great cake. Such is Xavier’s devotion to producing the finest pastries and cakes that he refuses to take short cuts that might make his life easier. And while this may add a few extra hours to the processes involved in making his Continental-style treats, he says the difference in the taste, texture and appearance is well worth going the extra mile. Xavier’s training equipped him to execute every aspect of the pâtissier’s art, including creating stunning croquembouches and exquisite wedding cakes, all of which are finished to incredibly high standards. Xavier’s quest for perfection starts with the ingredients he uses, such as responsibly-sourced sea salt from Anglesey, for which he makes the just over 400-mile round trip himself. At the same time he buys locally whenever possible, such as the freshly-laid eggs he gets from Cooper’s Hill near Gloucester. “Everything in our products is made by us, whether this means making our own buttercream from English butter or separating eggs ourselves rather than buying in ready-to-use egg whites,” he explains. It took around three years to get the wedding cake business off the ground, but this aspect of the business was to prove to be just the tip of the iceberg when they heard in 2013 that the new Gloucester Services was looking to sell Continental-style pâtisserie. Since then the bakery has gone from strength to strength, with Xavier and Bee taking on an apprentice and additional employees. They’re now planning a second kitchen to keep up with the demand and hope to take on a further trainee by the end of the year. “We cannot keep up with the demand for the macaroons – as soon as we’ve made some there’s an order for more,” laughs Xavier. Strawberry Jam has been a mainstay in our cupboards for years now; whether it’s spreading it on two slices of bread to make a sandwich, flavouring our cakes or being the perfect accompaniment to clotted cream in our freshly baked scones, Strawberry Jam is without doubt the national treasure of fruit preserves. 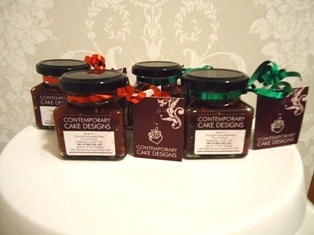 A range of our homemade jams. With the British berry season well under way (started 1st May) we’re just in time to see the strawberries begin to be picked off the leaves in all their vibrant red glory; at least before they all get devoured at this year’s Wimbledon tournament alongside the 28,000kg of cream! Xavier and I love this time of year because it enables us to create fresh, homemade strawberry jam to fill our wedding cakes and desserts with, making sure we have just enough to preserve over the winter months as well. We’re all about homemade produce here at Contemporary Cake Designs and where possible always try to make use of the best local ingredients right here in our kitchen. With so few ingredients making strawberry jam couldn’t be simpler, just as long as you’re willing to abide by the rules of food science! So with that being said, we thought we’d give you a helping hand by offering our expertise on how to make this homemade sumptuous summer strawberry jam. Tip 1 – Try using seasonal produce. Jam will preserve over the winter months so it’s best to make as much as you can during the summer when strawberries are in season. Also check to see if any are damaged and if so, remove from the punnet. Tip 2 – Use more fruit and less sugar as this will give you a more flavoursome jam and will stop it from crystallising in the jar. Tip 4 – Strawberries are low in pectin so we advise using sugar making jam, which contains pectin, as this will help form a gel and thicken up your jam. Tip 5 – Use sterilised jars to ensure your jam is safe from any harmful bacteria. If strawberries don’t tickle your taste buds then why not pick your own flavour. Raspberries and blackberries are good options and have slightly higher pectin levels, which means you don’t have to use as much sugar making jam. Follow these rules and making jam will never be easier! From chocolate brownies to the great big whopping black forest gateaux, Monday is the day to treat yourself to a chocolate fiesta. Yes that’s right, its national chocolate cake day – a proclaimed day of self-indulging and eating as much cake as your stomach can take in a Bruce Bogtrotter like manor. 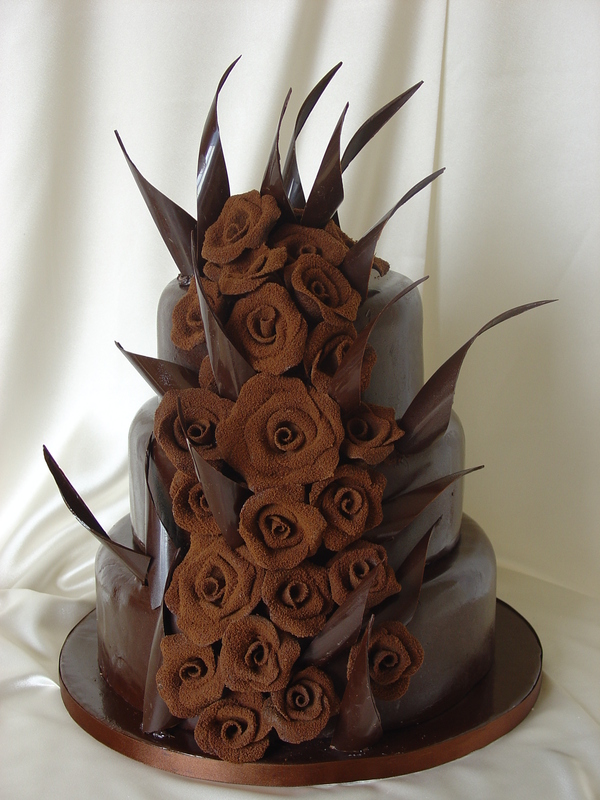 National chocolate cake day is set to begin on the 27th January and is an annual event causing the nation to go baking mad, including ourselves. But before you grab hold of your baking gloves we’d like to share our expertise on how to get the best out of your chocolate, and that starts with “Tempering”. 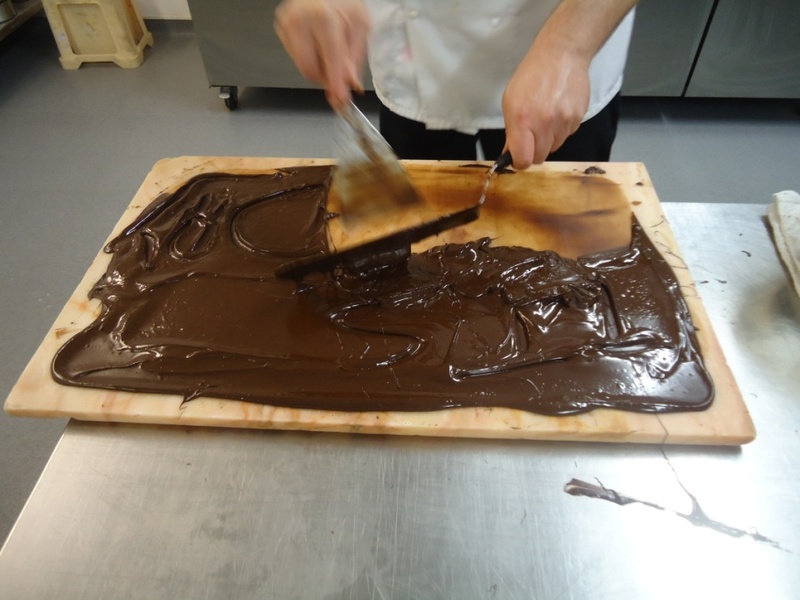 Tempering is an important process in chocolate production as it’s the key to controlling the crystals so that only consistently small crystals are produced, thus resulting in much better-quality, melt-in-the-mouth textured chocolate. Make sure you have everything ready for what you would like to produce when chocolate is ready e.g. plastic for decoration, moulds etc. When tempered use the chocolate before it sets otherwise you’ll have to start again! Everybody loves cake, especially us. After all we’ve been fortunate to make a living out of it. So as you can imagine when Chocolate Cake Day comes round on the 27th January it’s quite the occasion. Chocolate is one of the most luxurious ingredients to work and produces some of the most amazing desserts, in particular the chocolate brownie. There aren’t too many things superior to treating yourself to an indulging, rich, gooey centred chocolate brownie with a small scoop of ice cream. It’s one of life’s real food comforts and a classic American dessert that has become tremendously popular in recent years with thousands, if not millions baking them each day. Heat oven to 180C/fan 160C/gas 4. Butter a 20-25cm cake tin and line with greaseproof paper. Place 175g/6oz of the chocolate, plus the butter and sugar in a heavy-based pan and heat gently until melted, stirring occasionally. Leave to cool. Whisk the egg yolks into the chocolate mixture, add the flour, nuts and the remaining chocolate. Whisk the egg whites until they form soft peaks, gently, but thoroughly, fold into the chocolate mixture. Pour into the prepared tin and bake in the centre of the oven for about 35-40 mins until crusty on top. Leave to cool, then run a knife around the sides and remove from the tin. Use top quality ingredients, preferably locally sourced. Chocolate is an amazing ingredient to work with as long as you respect the rules and make sure you temper it correctly. This means you need to heat it and cool it the right way, to the right temperature, so that it keeps a good consistency. Melt the chocolate gently over a Bain Marie (water) so as not to burn it.